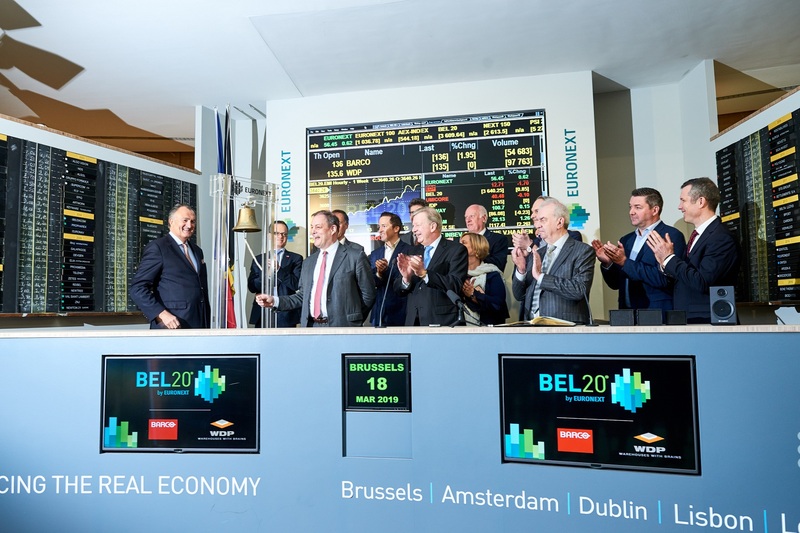 To celebrate Audiovalley’s first trading day in Brussels, Alexandre Saboundjian, CEO, rang the bell to open the financial markets. Robert van Beek & Paul Resnik rang the bell to celebrate the laureates of the MorningStar Fund Awards 2018 & the launch of the book “Talking About… Risks”, written in collaboration with Ben Granjé (Trends Investment Community). Hendrik Scheerlinck, CFO of KBC Group, opens the trading day at the Brussels exchange to celebrate KBC Group's green bond issuance. In June 2018, KBC Group launched an initial issue with a term of 5 years and a value of 500 million euros and became the first Belgian financial institution to issue green bonds. KBC Group is an integrated banking/insurance group primarily serving retail, private banking, SME and midcap clients. KBC Group's activities are concentrated to strategic markets which include, Belgium, Czech Republic, Slovakia, Hungary, Bulgaria and Ireland. KBC Group is listed on Euronext Brussels. Merwin Bisseling, ABM Financial News' Managing Director, and Stijn Ceelen, Country Manager of Binck Bank Belgium, opened the trading day in Brussels to celebrate the expansion of ABM Financial News in Belgium through the opening of an office in Antwerp and the partnership between ABM and Binck in Belgium. 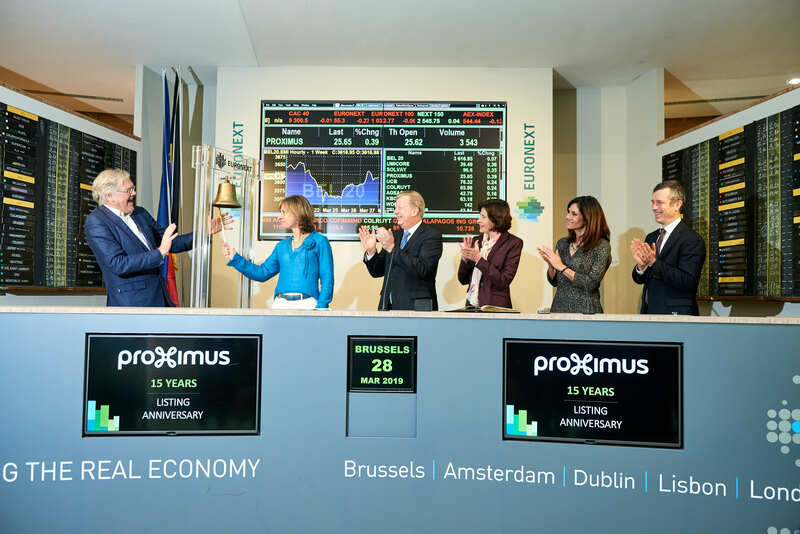 To celebrate FNG’s first trading day in Brussels as well as their capital increase, the founders Dieter Penninckx (CEO), Anja Maes (Creative Director) and Manu Bracke (Operations Director) rang the bell to open the financial markets. 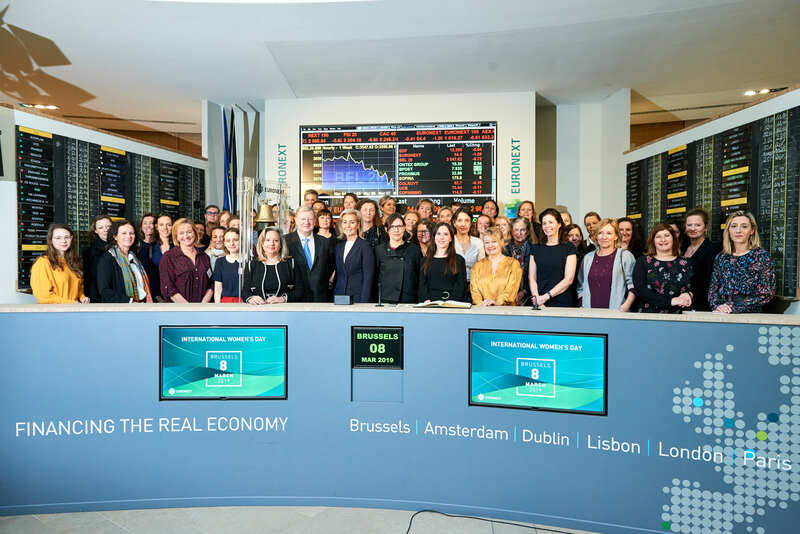 Euronext wad delighted to welcome argenx to celebrate their inclusion in the BEL 20 Index. CEO Tim Van Hauwermeiren, CSO Hans de Haard and CDO Torsten Dreier rang the bell to close the financial markets. At the occasion of the graduation of the First Edition of Vlerick Executive Programme in Asset Management, Euronext was delighted to welcome the Minister of Finance, Johan Van Overtveldt, to open the financial markets with the co-directors of the programme, David Veredas, Professor of Financial Markets, Jan Debondt, Founder Kounselor and Jan Longeval, Founder Kossaat. This programme covers all aspects of asset management and was supported by Degroof Petercam, Candriam, AG Insurance, Belfius Investment Partners, KBC Asset Management and the Belgian Asset Management Association. Mathias De Clercq, Senior Deputy Mayor of Ghent, opened the financial markets at the occasion of the opening of the 14th edition of Knowledge for Growth held in Ghent. Knowledge for Growth is Europe’s finest life sciences conference providing vital insight into the global life sciences’ landscape, B2B Partnering, a trade fair with 100+ exhibitors and a scientific poster area. 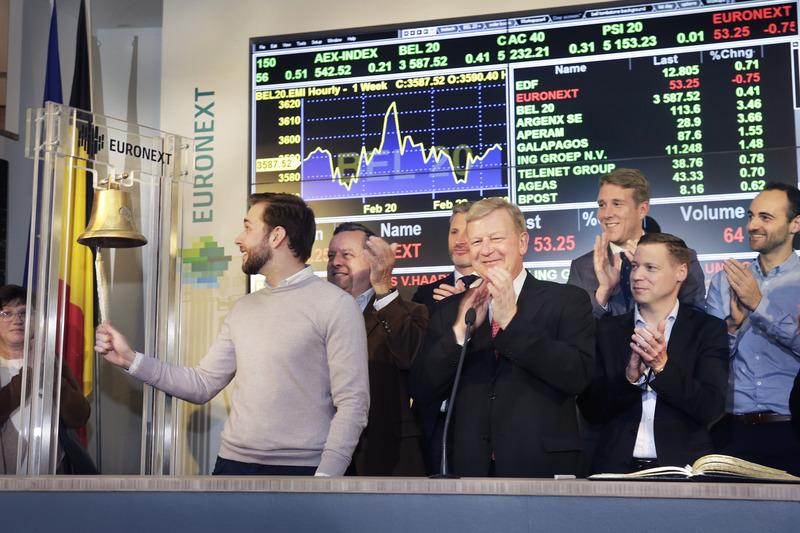 Euronext was delighted to be opening the 19th edition of Bio€quity Europe with a remote bell ceremony in Ghent, Belgium. Anna Chrisman (EBD Group), Dirk Rey (flanders.bio) and Eric Pierce (BioCentury) opened the financial markets at this occasion. Bio€quity Europe is the seminal industry event for financial dealmakers looking for investor-validated life science companies. Eddy Duquenne and Joost Bert, CEOs of Kinepolis Group, opened the trading day in Brussels. In Europe, Kinepolis has 50 complexes throughout Belgium, The Netherlands, France, Spain, Luxembourg, Switzerland and Poland. In addition to its cinema business, Kinepolis is also active in film distribution, event organization, screen advertising and property management. Sidney D. Bens, CFO of ATENOR, opened the trading day in Brussels. The public subscription offer launched by ATENOR for the first time mainly for retail investors (private persons) has immediately met with great success (having been subscribed more than twice over), achieving the maximum sum expected, i.e. 50 million Euro in total for the two tranches proposed. Jan De Nys, CEO of Retail Estates, opened the trading day in Brussels in the presence of Kara De Smet, CFO, and Koenraad Van Nieuwenburg, CIO. Retail Estates is a public regulated real estate company ('RREC' – 'Belgian REIT') investing in out-of-town retail properties located outside the largest cities of Belgium.